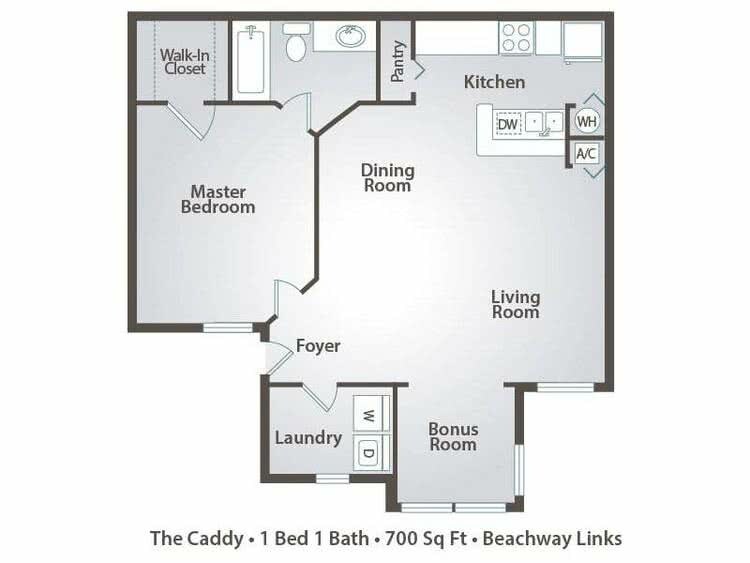 The Caddy is a one bedroom one bath floor plan. This one bedroom apartment in Melbourne, FL includes a bonus room that's perfect for a dining room set. It comes with a separate laundry room which includes a full-sized washer and dryer. The master bedroom includes a walk-in closet as well as a walk in full-sized bathroom.